For other places with the same name, see Tarawera (disambiguation). Mount Tarawera is the volcano responsible for one of New Zealand's largest historic eruptions. Located 24 kilometres southeast of Rotorua in the North Island, it consists of a series of rhyolitic lava domes that were fissured down the middle by an explosive basaltic eruption in 1886, which killed an estimated 120 people. These fissures run for about 17 kilometres northeast-southwest. The volcano's component domes include Ruawahia Dome (the highest at 1,111 metres), Tarawera Dome and Wahanga Dome. It is surrounded by several lakes, most of which were created or drastically altered by the 1886 eruption. These lakes include Lakes Tarawera, Rotomahana, Rerewhakaaitu, Okataina, Okareka, Tikitapu (Blue Lake) and Rotokakahi (Green Lake). The Tarawera River runs northeastwards across the northern flank of the mountain from Lake Tarawera. Mount Tarawera erupted around 1315. The ash thrown from this event may have affected temperatures around the globe and precipitated the Great Famine of 1315–17 in Europe. Shortly after midnight on the morning of 10 June 1886, a series of more than 30 increasingly strong earthquakes were felt in the Rotorua area and an unusual sheet lightning display was observed from the direction of Tarawera. At around 2:00 am a larger earthquake was felt and followed by the sound of an explosion. By 2:30 am Mount Tarawera's three peaks had erupted, blasting three distinct columns of smoke and ash thousands of metres into the sky. At around 3.30 am, the largest phase of the eruption commenced; vents at Rotomahana produced a pyroclastic surge that destroyed several villages within a 6 kilometre radius, and the Pink and White Terraces appeared to be obliterated. The eruption was heard clearly as far away as Blenheim and the effects of the ash in the air were observed as far south as Christchurch, over 800 km away. In Auckland the sound of the eruption and the flashing sky was thought by some to be an attack by Russian warships. Although the official contemporary death toll was 153, exhaustive research by physicist Ron Keam only identified 108 people killed by the eruption. Much of the discrepancy was due to misspelled names and other duplications. Allowing for some unnamed and unknown victims, he estimated that the true death toll was 120 at most. Some people claim that many more people died. The eruption also buried many Māori villages, including Te Wairoa, which has now become a tourist attraction (the buried village of Te Wairoa), and the world-famous Pink and White Terraces were thought lost. A small portion of the Pink Terraces was reportedly rediscovered under Lake Rotomahana 125 years later. In 2017, using a lost 1859 survey of the old lake and terraces, researchers finally georeferenced the old Lake Rotomahana and the original Pink and White Terrace locations. Approximately 2 cubic kilometres of tephra was erupted, more than Mount St. Helens ejected in 1980. Many of the lakes surrounding the mountain had their shapes and areas dramatically altered, especially the eventual enlargement of Lake Rotomahana, the largest crater involved in the eruption, as it re-filled with water. The rift created during the eruption extends 17 km across the mountain, Lake Rotomahana and through the Waimangu Volcanic Rift Valley. Some of the local survivors at Te Wairoa took shelter in a Maori meeting house, a wharenui, named Hinemihi, which was later taken to England and erected in the grounds of Clandon Park, the seat of the 4th Earl Onslow, who had been governor-general of New Zealand at the time. One legend surrounding the 1886 eruption is that of the phantom canoe. Eleven days before the eruption, a boat full of tourists returning from the Terraces saw what appeared to be a war canoe approach their boat, only to disappear in the mist half a mile from them. One of the witnesses was a clergyman, a local Maori man from the Te Arawa iwi. Nobody around the lake owned such a war canoe, and nothing like it had been seen on the lake for many years. It is possible that the rise and fall of the lake level caused by pre-eruption fissures had freed a burial waka (canoe) from its resting place. Traditionally dead chiefs were tied in an upright position. A number of letters have been published from the tourists who experienced the event. Though skeptics maintained that it was a freak reflection seen on the mist, tribal elders at Te Wairoa claimed that it was a waka wairua (spirit canoe) and was a portent of doom. It has been suggested that the waka was actually a freak wave on the water, caused by seismic activity below the lake, but locals believe that a future eruption will be signaled by the reappearance of the canoe. ^ Cantor, Norman L. (2001). In the wake of the plague: the Black Death and the world it made. New York: Free Press. p. 74. ISBN 978-0-684-85735-0. ^ Nairn I.A. ; Shane P.R. ; Cole J.W. ; Leonard G.J. ; Self S.; Pearson N. (2004). "Rhyolite magma processes of the ~AD 1315 Kaharoa eruption episode, Tarawera volcano, New Zealand". Journal of Volcanology and Geothermal Research. 131 (3–4): 265–94. Bibcode:2004JVGR..131..265N. doi:10.1016/S0377-0273(03)00381-0. ^ a b R. F. Keam (1988). Tarawera. ISBN 978-0-473-00444-6. ^ Aftermath – Death list Archived 2008-06-04 at the Wayback Machine, Anheizen.com. Accessed 20 March 2009. 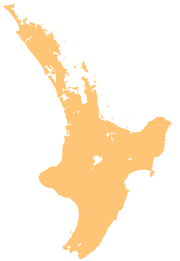 ^ In 2007, the General Manager of the Earthquake Commission said that "... Ngati Hinemihi oral accounts put the death toll in the thousands." David Middleton (2007). A Roof Over Their Heads? The challenge of accommodation following disasters Archived 2008-05-28 at the Wayback Machine. Accessed 2008-04-12. ^ NZPA and NBR staff (2 February 2011). "Scientists find Pink Terraces – NZ's lost 'eighth wonder of the world'". National Business Review. Retrieved 26 October 2011. ^ "Okataina: Eruptive History". Global Volcanism Program. Smithsonian Institution. ^ "Rotorua NZ – Explore Rotorua – Natural and cultural attracitions". Archived from the original on 2008-09-07. Wikimedia Commons has media related to Mount Tarawera.